TannerRitchie Publishing is proud to announce that 2016 has launched its major new product: MEMSO Shell. In the last decade, Medieval and Early Modern Sources Online (MEMSO) has become a recognised leader in the field of historical source publishing. Starting in 2016, TannerRitchie’s powerful historical document curation and publishing platform will be available to archives, libraries and researchers worldwide. 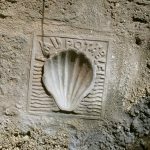 ‘MEMSO Shell’ is a simple, cost-effective means to store and provide access to historical records and archival material of all kinds – both open access or for profit. In other words we’ve removed our content from MEMSO to create a ‘shell’ in which you can create your own digital projects of any scale, both as a means to store and curate important documents, and to make them available worldwide. Simple setup – no expertise required. Secure cloud storage for megabytes, gigabytes or terabytes of archival data. Your records instantly available online. You decide on either open access or paid subscriptions. Built-in ecommerce option. Innovative, tried and tested ‘virtual desktop’ viewer enables advanced document viewing, navigating and downloading. Advanced Sphinx search engine that far exceeds standard SQL database text search, provided as standard. Upload images, PDFs, documents, text files and more. Support library data standards, metadata, user customisation. Fee plans to support all budgets. Interested? Contact Us to find out more and request early access, and sign up to receive notifications about MEMSO Shell in the months ahead.